The Emerald Ash Borer is here! Our two most mature trees on our lot are ash, like so many in the landscapes surrounding metro areas of the Midwest. Ash and maples. When diversity is low, pests and diseases can spread very quickly. Its very easy to find a preferred food source when you have nearly a 50/50 chance that the next tree is it. Plus, without the natural control systems in place, exotic pests can wreak havoc on the landscape. The ash borer kills a tree from the feeding of the larvae. They feed on the soft living tissue between the bark and the wood, creating an "S" or zig-zag shaped path. These feeding channels disrupt the flow of water and nutrients up and down the tree. Generally the top of a tree is killed first and the borers move down the trunk. After pupating, adults emerge through a distinctive D-shaped hole. There are chemical treatment options through trunk or soil injections, soil drenches or trunk sprays. These insecticides are generally systemic, meaning they are transferred to the entire tree including every tissue. This makes for a highly defended tree but can also have some unwanted side effects. Beneficial insects such as lacewings, ladybugs and parasitic wasps can be killed by preying on poisoned insects. 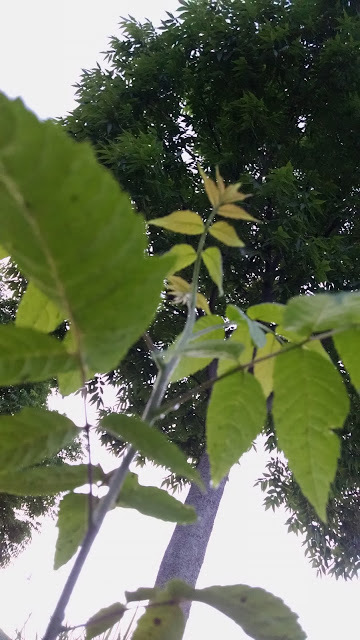 Flowers near treated ash trees can incorporate insecticides from the soil harming honeybees and other pollinators, and treated ash tree pollen can drift also harming them if exposed. Since the EAB can only fly a short distance, the Iowa DNR suggests not treating trees unless you are within 15 miles of an infestation. Well, you and I are most likely in one of these areas. If not now, you soon will be. 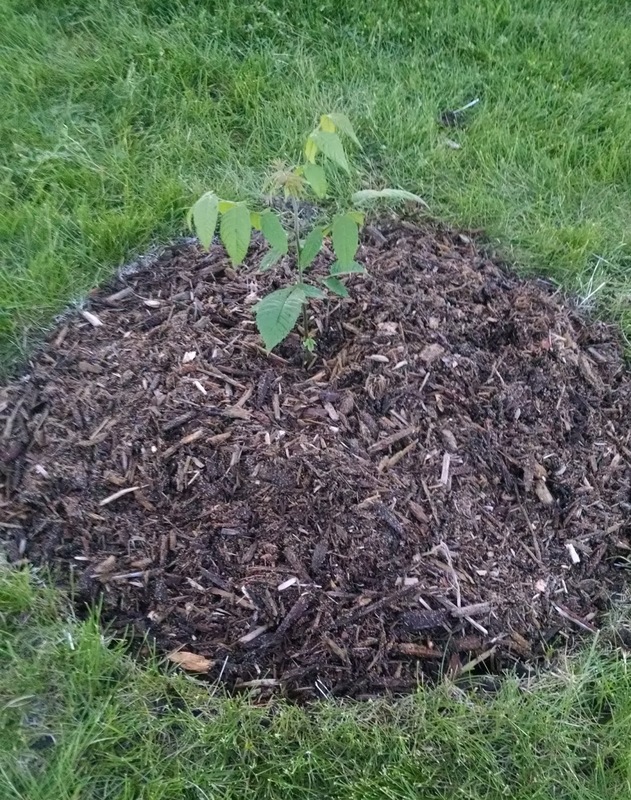 I did notice a few holes in one of our ash trunks, but it did not look like an EAB hole and I have noticed no other symptoms. So this is my plan for our trees and yard. I am not an advocate for chemical treatment. There are some situations where I admit they are probably a good idea, but we really try to limit them especially in our home and yard. We also have many plants we provide for pollinators and need pollinators for. In additon, with treatments costing $20-$200 per year, it is not an expense we are willing to make for the lifetime of the trees. You will have to decide the value of your trees and the cost of saving them. I am also not going to proactively cut them down. This was done with the American Chestnut in the early 1900's to fight the Chestnut Blight (another exotic disease) and hope for native genetic resistance was lost with each tree cut down. 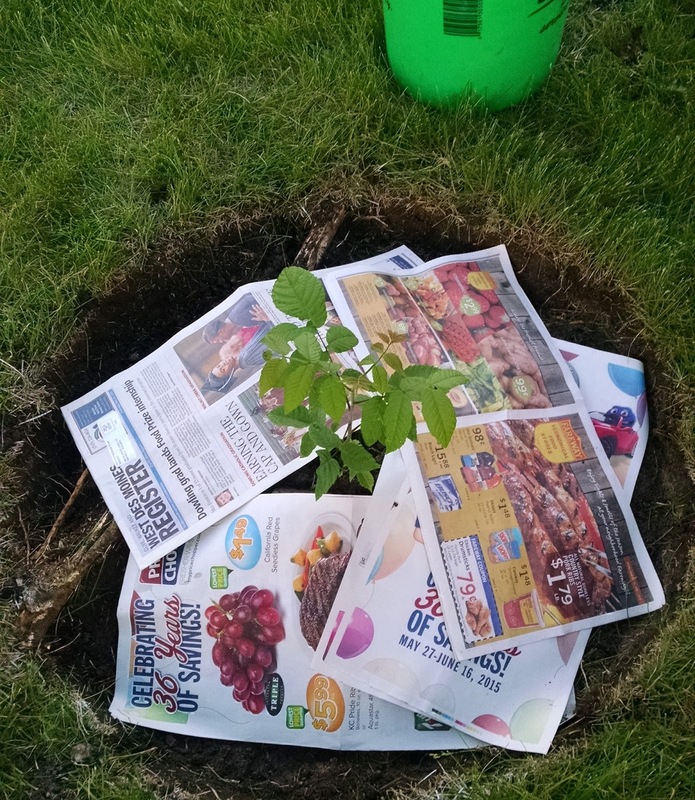 I highly doubt the two trees we have will have resistance, but if I cut them down now, it would be like throwing away a lottery ticket before the drawing. When they get sick I will remove them. They should make pretty good mushroom growing logs! If they don't get sick, the genetics will be a valuable breeding resource for resistant ash trees in the future. In the most likely case they will die, so I am planning and planting their replacements. 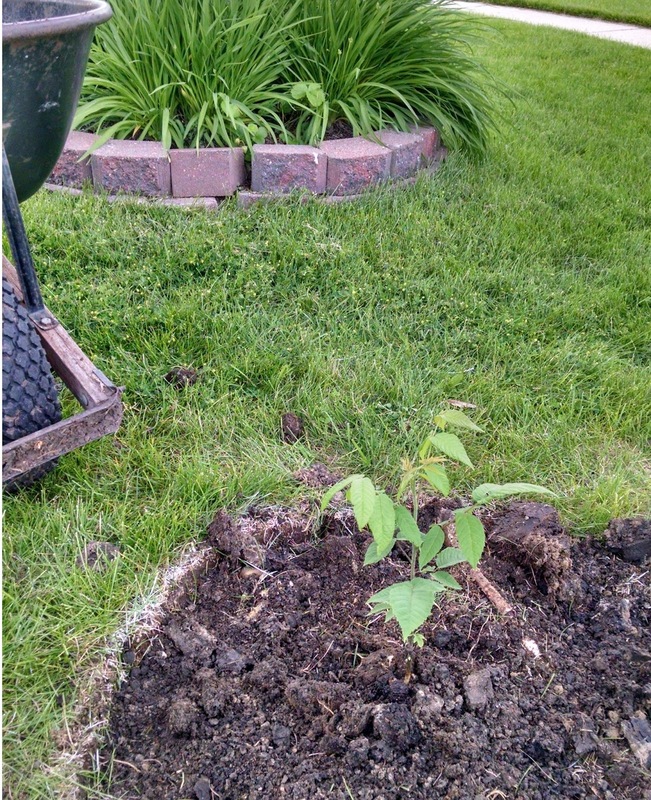 As the saying goes, "The best time to plant a tree was 20 years ago, the second best time is now." And we are getting late in the spring for tree planting, especially bare root trees, but I think we do have a little time yet for good healthy transplanting yet. Temperatures aren't too warm and we're getting adequate rainfall. 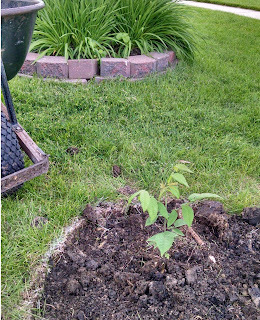 I can get really nice oak seedlings nearby, that will be one of the replacements. 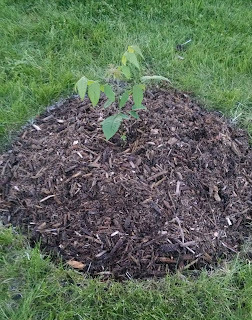 I also over wintered a couple walnuts in my small nursery bed. 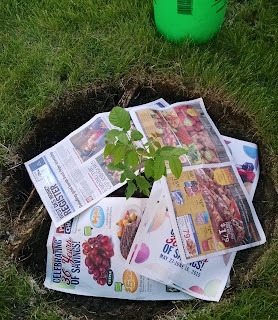 One was growing quite well so I transplanted it tonight. So, there's my Emerald Ash Borer contingency plan. Hope for the best, prepare for the worst. Hopefully the new trees, although slower growing, will have some decent growth by the time the old ash trees need to come down. If not, the increased sunlight won't be a bad thing for the new trees either. 60+ million ash trees in Iowa. If you would like more information about the Emerald Ash Borer, see the ISU Extension & Outreach website or one of their seminars. Also more information is available at Iowa Tree Pests by the Iowa Department of Agriculture and Land Stewardship. Big shoes to fill ...at least it looks like it at this point!